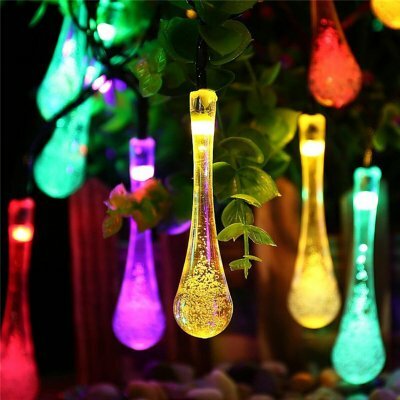 Successfully Added Solar String Lights 30 LED Water Drop Fairy Lights Christmas Solar Rope Light to your Shopping Cart. 3. With 30 Leds: 6.5m/20ft 30 Leds Water Drop Shape String Lights, 4 Color light and Lifespan up to 100,000 hours.